One team is ranked, one team is not. One team has named a quarterback, one team has not. One team’s head coach is going into his eighth season, one team has a staff full of new coaches. The two teams? West Virginia and Tennessee. Clearly, there are many unknowns for these two teams which could make the game all the more interesting. The two teams will play each other for the first time in history on Saturday at a neutral site in Charlotte, North Carolina. Tennessee had a very lackluster 2017 season finishing with a 4-8 record. The Volunteers released their depth chart this week and named 10 different positions with “Ors” by their names. With Jeremy Pruitt as the new head coach and many player unknowns, there is very little film for West Virginia to study. Has Pruitt and his staff done this on purpose? Who knows, but either way, the first game of the season will be quite the surprise for everyone. Pruitt believes that West Virginia is going to be a challenge for his team and he talks about how the Volunteers are going to have to stay ahead of the game on both sides of the ball. 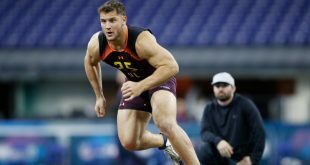 In order for Tennessee to make good plays with special teams, they will look to use Brent Cimaglia as placekicker, Joe Doyle or Paxton Brooks as punter and either Riley Lovingood or Elijah Medford as long snapper. Cigmalia had a decent rookie season finishing 8 of 13 on field goals with five being over 40 yards. Both punters have never seen game action but as a freshman, Brooks has come in as an ESPN 3-star recruit. Lovingood was last season’s starting snapper and was named once as SEC Special Teams Player of the Week. He will battle Medford who was last years’ starting short snapper for punts. The specialists seem to have good enough experience to deliver at least some good plays to compete against West Virginia’s Defense. Both quarterbacks have “starting QB” on their resumes. 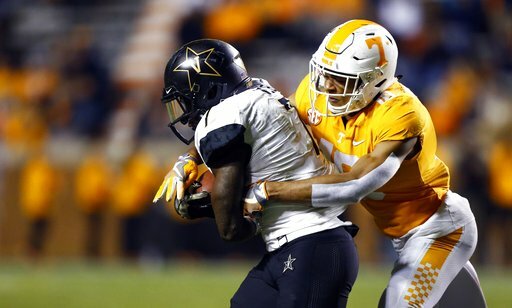 Redshirt sophomore, Jarrett Guarantano played as starter for the second half of Tennessee’s 2017 season and Stanford graduate transfer, Keller Chryster had a 6-0 record as starter last season. Pruitt has said that the competition between the two has been a good thing for the team and has even hinted throughout the week about playing both guys. Chryster definitely has more games under his belt and Pruitt describes him as a natural leader. With the game only two days away, it is still undecided which number fans will see under center. West Virginia is coming off a 7-6 2017 season record and are ranked 17th going into Saturday’s game. They also have one of the most talked about college starting quarterbacks on their roster as well. Coming off an injury last season, Will Grier will look to lead his Mountaineer team for his senior season beginning with a game in his hometown. One positive for West Virginia is that Tennessee has less ors listed on the defensive side with three linebackers already named. In order to compete with the size and unknown of Tennessee’s defense, Grier is going to have to be quick on his feet and establish early on how the front line operates. Something he has already proved in the past. Before the hand injury, Grier finished his season with 3,490 total yards and a 64% completion rate. With the many unknowns from Tennessee, the whole team really is going to be tested and will have to take every detail into consideration. Week 1’s game between these two teams have a start time of 3:30 p.m. EST on Saturday and will be televised on CBS. The game will be played at the Bank of America Stadium in Charlotte, North Carolina. Junior studying telecommunications- news at the University of Florida. Multimedia Sports Reporter for ESPN Gainesville as well as a Multimedia Journalist for WUFT News.